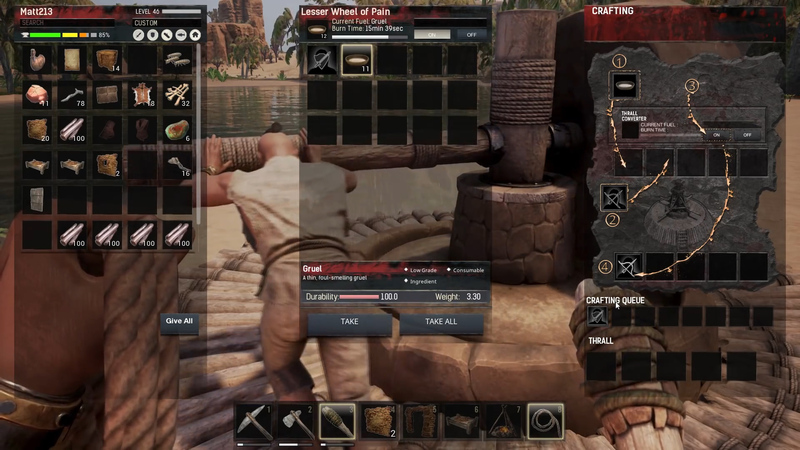 For barbarians wondering how to enslave servants in Conan Exiles, the first thing you’ll need to learn is how to capture thralls. These NPCs are typically found standing around campfires throughout the open world, each with an expertise that can range from fighter, smelter, tanner, cook, archer and much more. Once you’ve learned to capture them, you can bring them back to your camp, tame them, and then assign them to a job that relates to the task they specialize in. Read on to learn how to Enslave Thralls in Conan Exiles. 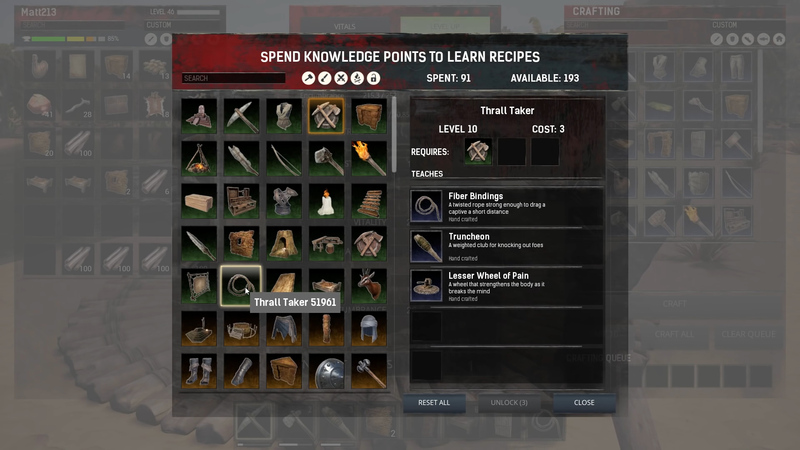 The first step to enslaving thralls in Conan Exiles is to reach level 10 so you can unlock the recipe, Thrall Taker. This recipe will unlock the items Fiber Bindings, Truncheon, and Lesser Wheel of Pain which is necessary for the capturing process. Build a Lesser Wheel of Pain at your camp, then craft the Fiber Bindings and Truncheon. Once this task is complete, you can start looking for potential servants. Once you find a tribe, knock one of the thralls unconscious (or all of them since they will continue to try and attack you.) Once unconscious, use the Fiber Bindings and bring the prisoner back to your camp. Once you’ve brought back the soon-to-be enslaved thrall, you can begin taming them by assigning them to the Lesser Wheel of Pain and feeding them gruel. You can make 1 serving of gruel using 5 plant fiber and 1 seed but you'll definitely need much more than that. Put these ingredients on the campfire and cook it. Once it’s finished cooking, you can place the gruel in the Lesser Wheel of Pain inventory, set burn time to ON, and the thrall taming process will begin. Make sure there’s enough gruel for the thrall and check back occasionally until the taming is finished. If this article on how to enslave thralls was useful to you, be sure to check out our guides on how to find iron and change your religion in Conan Exiles.